1. Start AmiBroker and click File > New Database. The Database Folder location and name are defined under General > Database Folder. 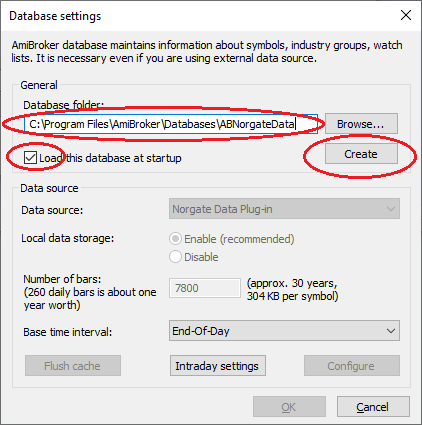 We suggest that you call the database "ABNorgateData" and allow it to be created under the "AmiBroker" folder. However, you can choose a Database Folder location and name to suit yourself. 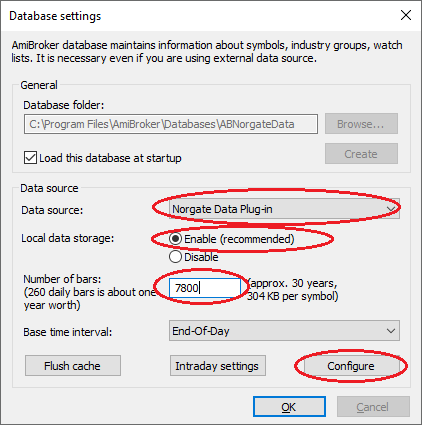 don't create the AmiBroker database inside the Norgate Data database folder. 2. After the path has been established, click the "Create" button. Note: "Load this database at startup" should remain ticked to make this database the default. 3. Change "Data source" to "Norgate Data Plug-in"
4. Set "Local Data Storage" to "Enabled"
5. Enter a figure for "Number of bars"
You can now configure the plugin settings for "Date Padding" and "Price Adjustment". 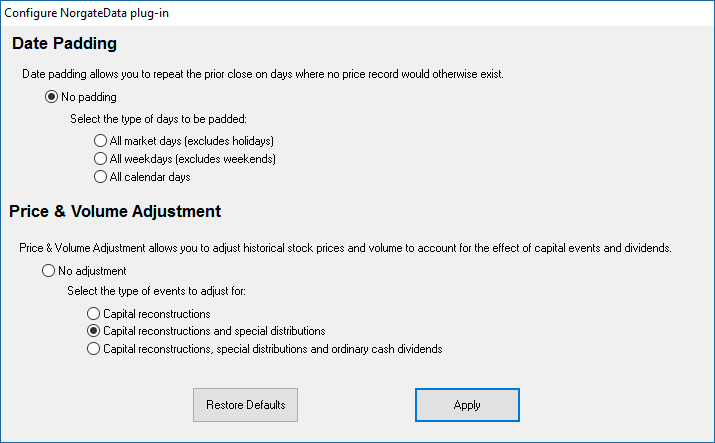 Please note that these settings can be changed at any time by way of AmiBroker > File > Database Settings > Configure. 7. Click the "Apply" button when finished and AmiBroker will start to configure the database. This process will take several minutes to complete. 8. 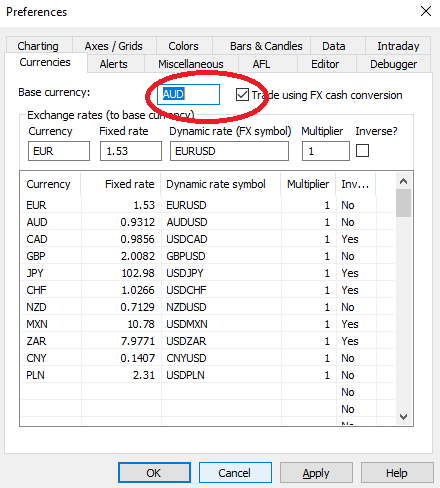 Finally, go to Tools > Preferences > Currencies in AmiBroker and make sure that the desired Base Currency is selected. (e.g. Australian users may want to use AUD when backtesting Australian stocks).